On the 25th August 2015 the African Studies community lost a great scholar and dear friend. 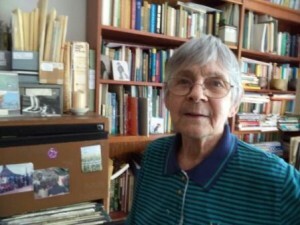 Cherry Gertzel died peacefully at her home surrounded by her books. Cherry taught and researched from 1958 to 1975 as a staff member at, in turn, Makerere University – Uganda, Nairobi University – Kenya, and at The University of Zambia. She returned to Australia in 1975 and became a staff member at Flinders University in Adelaide, South Australia between 1975-1993. She subsequently moved to Curtin University between 1993-1997, and remained an Adjunct Professor in the Humanities and Social Sciences at Curtin University, and was an Honorary Research Fellow in the History Department at the University of Western Australia, until her retirement. She engaged in research relating to the politics and administration of the three east African states, but also on more widely ranging issues of social change. She continued with her research until the end. Between 1982-1986 Professor Cherry Gertzel was the President of the African Studies of Australasia and the Pacific (AFSAAP), and was the Editor of The Australasian Review of African Studies (ARAS) between 1984-2004. She was a tireless campaigner for Africa and African studies in Australia. She will be missed. I would like to thank AFSAAP for providing funding to attend this renowned international European conference on African Studies in Paris, July 7-10 2015. The conference is organised by the Africa-Europe Group for Interdisciplinary Studies (AEGIS) held every 3 years and brings together scholars from all over the world who are passionate about African research. This conference had 1800 participants, (three of whom came from Australia), 1000 papers were presented, 24 books launched, and cost 350,000 Euros to run. It was held at the Paris-Sorbonne University in conjunction with a weeklong major arts event titled Africa Acts. http://africaacts.ecas2015.fr/. The major book sellers publishing material relating to Africa were present, James Currey, Brill, Oxford, Codesria, African book collective to name a few, and if I did not have a weight limit on my flight home I would have purchased a lot more than I did. Papers were presented in either English or French. At one session I attended translations into German were made by audience members. Participants of the conference could be found in debating not only in the panel sessions, but also in corridors, courtyards and coffee shops around the university. It seemed that not only were old friendships renewed, I ran into David Moore and Peter Limb, but new ones made. The scope of the papers presented was of course wide ranging from Laughter in Social Transformations in Africa, (about the use of humour/comedy and social change in Uganda, Cote d’Ivoire and Benin) to problems relating to abortion in Eritrea, Burkina Faso and Kenya, to panels on Pandemics in Africa, Guy Rights, governance, and to the problems of Land grabbing, agriculture. There were round tables where no papers as such were presented, but people gathered to discuss specific items such as: problems of Ethics and research, getting published in African Studies Journals, Gender and African citizenship, Boko Haram, and policy issues relating to Border problems to name a few. You can visit the conference website and download the programme at: http://www.ecas2015.fr/ The next conference will be Basel, Switzerland June 2017. My only advice is: Go to it. The University of Western Australia is launching a new Africa Research Cluster on international Africa Day, Monday 25 May 2015, from 5.30-7.30pm. We would love to see you there to celebrate Africa Day and Africa research at UWA. Please forward this invitation widely to interested colleagues, students and friends. Registration closes 18 May. Many of us academics have been advised not to published in journals that are not “ranked” or have low or no impact factors, so that universities can improve their own overall rankings in terms of research output in order to qualify for government funds, or get themselves ranked in the top 400 universities in the world. Publications in non-ranked journals just brings the overall average down, so again, many of us have been advised not to publish at all, unless we can get published in ranked journals. This is both anachronous to the production and development of knowledge, and the development of researchers, thinkers and analysts, in this case, in the field of African Studies (but it applies across the board). 2 of these 10 are focused on political science and international affairs, with a South African focus (POLITIKON and SAJIA . 1 of the 10 is about the environment, and is no longer published anyway (AJEAM). Only 6 of these 10 are related to African Studies or studies about Africa. Of those 6 related to African Studies – 2 are published by TANDF (ROAPE and AS), 1 by Oxford (AF), 1 by Cambridge (JMAS), 1 by Wiley (ADR), 1 by Uni of Florida (ASQ) (the only independent journal). Where does this leave the Australasian Review of African Studies? Recently ARAS was advised by Thomson Reuters, the commercial agency that collects the data and impact factor ratings to generate the ‘impact factors’ and distribute the ISI Rankings so highly sought after, that ARAS is not eligible to be ranked yet because it does not have enough citations. That means that not enough researchers who are publishing their articles in journals that are already ranked are citing articles published in ARAS. So, until we can get a swell of support from the ranks of the research community in African Studies, and also in studies on the African Diaspora in Australia and New Zealand, to read, use and cite appropriately articles from ARAS in their final publications (but only in ranked journals), then ARAS will remain unranked, and therefore excluded from the commercially driven impact factors. While this remains the case, good researchers will shy away from publishing their research with ARAS, because it simply will not be counted towards their university research output, and they will be discriminated against when it comes to promotions, applications for study leave, and grant applications etc. So we need to turn this around, and get ARAS listed on the various international commercially driven citations indexes – but without losing its independence, and regional focus on Australasia and the Pacific. ARAS remains an independent journal published by the African Studies Association of Australasia and the Pacific (AFSAAP) and is now in its 36th year of publication. ARAS has published the works of many scholars including the late Prof. Terence Ranger, and is committed to supporting early career researchers in African Studies in the region. The readership of ARAS goes beyond the academy and includes NGOs, African Embassies and High Commissions in Australia, various Australian government departments, and scholars from a range of disciplines, around the world. And these are just the subscribers. ARAS articles are also accessed through INFORMIT databases, and most university libraries would have access to this. In 2014 there were near 1800 individual ARAS article downloads from the Informit databases. So, in terms of ‘impact’, ARAS articles are being read widely! Furthermore, all AFSAAP Articles are available from www.afsaap.org.au. There have been various historical attempts to publish ARAS with large commercial publishers, with the promise of increasing the distribution, profile, online presence and citations. However, this would increase the costs of membership to AFSAAP – members currently pay a modest annual subscription of AU$80 – but would need to pay approx. $300 annually, to pay for the commercial publication and distribution. 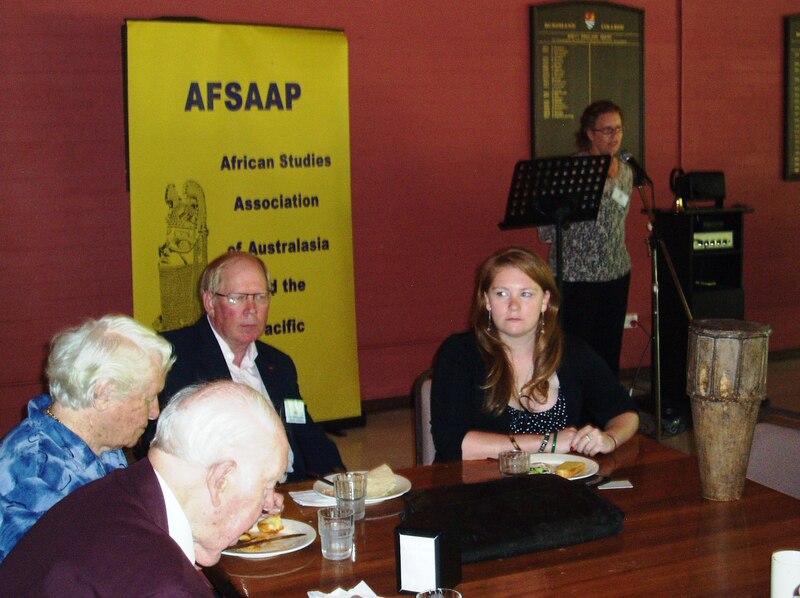 AFSAAP has a commitment to its membership, in particular to its near 1000 members from the African continent, many of whom were recipients of the Australia Award Scholarships. These members were awarded ongoing complimentary membership of AFSAAP upon their return to Africa, in order to facilitate the ongoing people-to-people relationships established while they were studying in Australia. These members receive ARAS Online (Online ISSN: 2203-5184). Additionally AFSAAP has approx. 300 members who are full subscribers, from all over the world, but mainly in Australia and New Zealand, and they kindly renew their annual membership (which can be done online, or at the annual conference). These members receive both a hard copy of the journal (ISSN No: 1447-8420) and the Online version available at http://afsaap.org.au/publications/aras/ Members also receive the monthly newsletter, Habari kwa Ufupi, and regular notifications of relevant events etc. To help make ARAS recognized by the commercial citations and index factors, AFSAAP wishes to declare 2015-2016 – The International Year of Citing the Independent Journal “The Australasian Review of African Studies” (ARAS). AFSAAP NOW asks that you reference ARAS articles in all of your research and publications in 2015 in order to increase the profile of ARAS and the work of its committed editors and authors working in African Studies in the Australasia and Pacific region. ARAS has published many excellent articles on African Studies, with a strong focus on the African Diaspora in Australasia, African Politics, and Australia’s relations with Africa. ARAS has also published original research based on fieldwork in many African countries. See PDF link here – for list of articles you can cite to help ARAS get noticed! AFSAAP would like to declare the International Year of Citing the Independent Journal ARAS !!! AFSAAP would like to acknowledge and celebrate the life and contributions of Professor Anthony Low. He was AFSAAP’s First president 1978-1981, and made an invaluable contribution to African Studies, and the academy. In the Australasian Review of African Studies, Vol 34 No 2 December 2013, David Lucas wrote about Anthony Low’s ‘Retirement’ from research. At the 2012 AFSAAP Conference held in Canberra, we also celebrated his contribution to AFSAAP. You can see in this photo, from the front Professor Low, his wife Isobel, his son in law Matthew Neuhaus, and his grand daughter, with Tanya Lyons AFSAAP’s current president acknowledging his life’s achievements. AFSAAP sends sincere condolences to Anthony’s family at this time, and would like to thank them for supporting his achievements in African Studies. Prof. Tony Binns and the 2014 Conference Organising Team have organised a brilliant conference in Dunedin. AFSAAP Welcomes ALL participants to the 37th Annual AFSAAP Conference. The last time our conference was held in New Zealand was 1992, at Victoria University, Wellington. Keep an eye on our conference proceedings website as ALL of 37 years of conference papers proceedings will be published there soon. The 2014 MONASH AFSAAP POstgraduate Prize Winner will be announced in February 2015 – see Conferences/Postgraduate Prize here for more details. 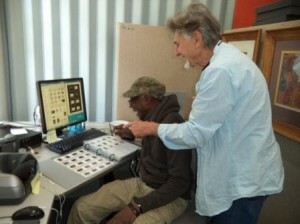 In the 1990s, When founding member and former AFSAAP president Prof. David Dorward photographed as many collections of African material culture as he could get access to in Australia and New Zealand, he may not of realised that these colour slides would need to be digitised 25 years later. Fortunately AFSAAP has been able to commit $10,000 to the initial stage of this wider project, to get the ball rolling. AFSAAP would like to invite sponsors to assist in completing this project. Australian resource companies working in Africa would benefit from participating as a sponsor in this project, to demonstrate their commitment to preserving African material culture. We would also invite small or large, individual or crowd funding to be able complete the project. Further details of how the project will unfold to completion are detailed below. Prof David Dorward visited the following institutions and photographed near 6000 items – Abby Museum, Caboolture, Queensland; Anthropology Museum of University of Queensland; Queensland Museum; Material Culture Unit at James Cook University; Australian Museum, Sydney; Macleay Museum, University of Sydney; Museum of Victoria; Queen Victoria Museum and Gallery, Launceston; Tasmania Museum and Art Galley, Hobart; South Australia Museum; West Australia Museum; Otago Museum, Dunedin, New Zealand; Canterbury Museum, Christchurch, New Zealand; National Museum, Wellington, New Zealand; (The Museum in Auckland could not be accessed at the time; Similarly, photos of the objects in the National Galley of Australia in Canberra could not be taken, as they’d already been photographed). There are about 6,000 35-mm colour transparencies; some objects boast multiple images. Objects were photographed against a uniform background, either matte white or light blue, and a scale accompanies most photos. Dr Barry Craig (SA Museum and AFSAAP Member) is has these photographs and datasets archived at the South Australian Museum, which has provided the space and with AFSAAP the equipment for scanning, and Barry Craig will manage the project. AFSAAP has provided $10,000 as an initial seeding fund to get the project underway. This will see Stage 1 and most of Stage 2 completed. Stage 1: Digitise the colour transparencies by scanning them at a high resolution, with each image given an ID code for the institution in which it is housed, and its registration number. Stage 2: Create a dataset using the Institution ID and registration numbers and transfer basic data to the dataset from the registration information. Add a hyperlink from the dataset to the images. Further funding is required for Stages 3, 4, 5, and 6 – please contact president@afsaap.org.au to become a Gold, Silver or Bronze sponsor. Stage 3: Visit each institution (and those not already visited) to photograph all African objects not previously photographed and gather the relevant documentation. Stage 4: Add the material from Stage 3 to the dataset. Stage 5: Develop and code a hierarchy of geographical locations/polygons (villages/ethno-linguistic group/regions/countries) and apply these to the dataset. AFSAAP has provided a $10,000 grant to start the project, and now invites individual or corporate sponsors to make a financial contribution to this African Digitisation Project. Please contact president@afsaap.org.au if you would like to become a sponsor. All sponsors will be acknowledged in all of AFSAAP’s official communications – monthly newsletters, website, emails, and journal the Australasian Review of African Studies. AFSAAP postgraduate representative Stephen Okello has released an updated analysis of the complicated political situation in South Sudan, and a summary of the options available to break the current impasse in the world’s youngest country. The report, following on from Stephen’s previous analysis, can be read here. AFSAAP has expanded its online reach to Facebook. AFSAAP members are encouraged to like and follow the page to join in on discussions related to African-Australian issues and events. AFSAAP in also active on Twitter. An AFSAAP member is following the South Sudan Crisis from Uganda. It appears that the conflict is seeded in the post John Garang arrangements in which power was reorganised in response to Garang’s absence. It is suggested that the reorganisation process was ethnically influenced in which sections of the South Sudanese felt left out. For instance, the Dinka have been long accused of dominating the state in which corruption has taken root and reached dangerous levels. State governors have accused the central state for not remitting funding meant to ensure service delivery. Tension has always existed especially in the army, but this particular conflict is an extension of internal SPLA infighting which resulted into the recent suspension of the entire cabinet by President Kiir. Information out of Juba indicates that the attempted coup was ochestrated by forces loyal to the former Vice President including some governors. And that as of yesterday, the rebels had control of most of the oil producing region which also provides almost 90% of South Sudan state revenue.